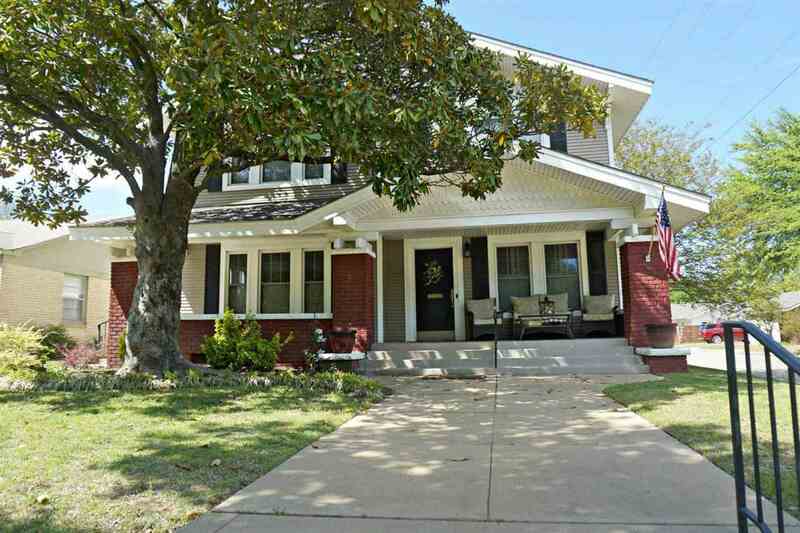 Live the American dream in a charming house with a white picket fence that clearly says "home". This historical property features a formal living area with gas fire place that is open to the formal dinning area. The kitchen has stainless steel appliances, double oven, 5 burner stove in island, split brick floors and a built in pantry. The family room/second living area is spacious with a gas fireplace and wood look tile. 1 bedroom down stairs and a 3/4 bath with walk in tiled shower and copper sink. Up the double stair case you will find 4 additional bedrooms, a full bath and a huge storage closet. Every room in this house has an abundance of windows giving them lots of natural light. There is a large wood deck in the back yard accessed through the sliding doors in the family room. Back yard is fenced and has a large storage building.